Features spring swivels. Check out our "Rings Blog" below. 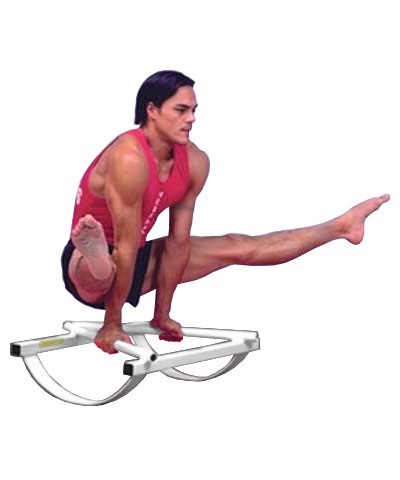 Specify ceiling height, gymnastics level and required height of rings above the floor. The T127SSR Competition Ceiling Hung Spring Rings features 30 ply wood rings and spring loaded swivels to reduce shoulder and back stress. The cables are 1/4" steel aircraft quality and the straps are heavy duty nylon webbing. 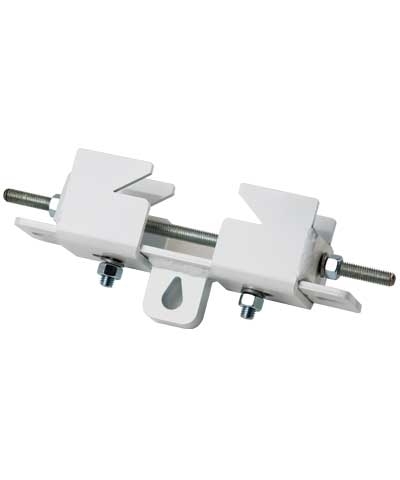 Adjustable straps accommodate slanted I-beam pitch. 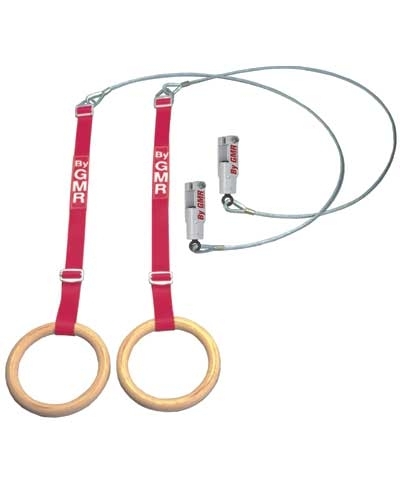 Meets USAG and NFHSA gymnastics equipment specification. Requires two A141-4-9 I-beam clamps. Minimum recommended matting-one 8'x12'x12cm landing mat. Specify ceiling height, gymnast level and required height of rings above the floor. Not for home use. Add $20.00 shipping.